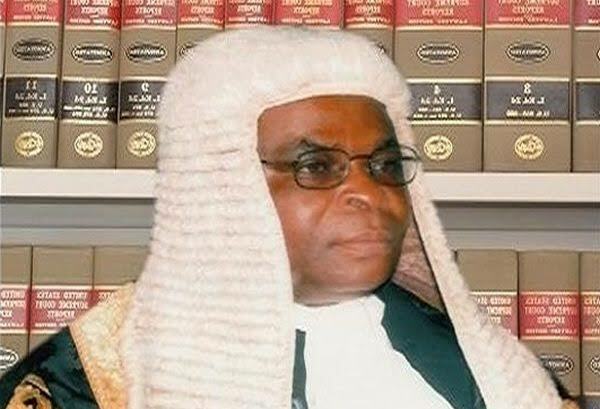 The diplomatic communities have been warned against making undiplomatic comments that could heat up the polity in Nigeria, especially over the suspension of the Chief Justice of Nigeria, Justice Walter Onnoghen. The British High Commissioner to Nigeria by Concerned Nigerians, a civil society group. The rally took off at the Unity Fountain and proceeded to the various embassies. The protesters urged the countries to respect Nigeria and her decision and stop meddling intl her affairs. Okpokwu Ogenyi, convener of the group, said the decision of the presidency to suspend Onnoghen was in order and should not be politicised. Ogenyi said, "Please note that The 1999 Nigeria Constitution, as amended, is very clear on assets declaration by public officials. Declaration of assets by public officers in Nigeria is not a voluntary exercise. Instead, they are mandated by the law to do so before and after occupying public offices. "Paragraph 11 of the Code of Conduct (Ethics of Work for Public Officers) stipulates that, “Subject to the provisions of this Constitution, every public officer shall within three months after the coming into force of this Code of Conduct or immediately after taking office and thereafter:(a) at the end of every four years; and (b) at the end of the term of office; submit to the Code of Conduct Bureau a written declaration of all his properties, assets and liabilities and those of his unmarried children under the age of 18 years. "Hence public declaration of assets is best recommended so that both the Code of Conduct Bureau (CCB) together with its Tribunal (CCT) and the general public may work in agreement. "The Ambassadors may wish to know that there are stipulated penalties for violation of the CCB law in Nigeria regardless of the position the individual occupies as the law is no respecter of persons. "Dear Ambassadors, such an act cannot be condoned in a sane clime, and even in America, Britain, and France. "Consequently, we are at a loss as to the way, and manner statements have been credited to your esteemed persons which we firmly believe echoes’ the views of your home countries. It is, therefore, our considered opinion that such statements were not fair and maybe as a result of a lack of understanding of the issues at hand. "The Chief Justice of Nigeria is standing trial for false declaration of assets, and he was consequently advised to step aside pending the determination of the suit. But he refused and instead used all manners and means to frustrate the law from running its course. "He was also advised on moral grounds that he cannot continue to denigrate the office he occupies because he is standing trial for an offense he committed and not an allegation. This much he confessed to in a written statement. "We expected some decorum in public statements from members of the Diplomatic communities in a case as sensitive as this. This is on the heels that it was public knowledge that on infraction was committed by the Chief Justice of Nigeria. We also expected that members of the Diplomatic community would be sensitive enough to know that Nigeria is a sovereign country bided by a Constitution. "We also expected that members of the Diplomatic community would not join the select few that have given some form of political interpretation to the suspension of the Chief Justice of Nigeria from office. "We expected that the members of the Diplomatic communities would exercise restraint in public conduct given that the general elections are around the corner so as not to send the wrong message to the voting public. "We also expect that members of the Diplomatic community would at some point appreciate the efforts of the present administration in sanitizing the system. "Nigeria is a sovereign country, and as such, that must be clearly understood and appreciated by all, including members of the Diplomatic community in Nigeria. Respect for our people and values are sacrosanct. Unguarded public statements could incite the general public given the peculiarities of the time we have found ourselves. And so they should be minimized or avoided if possible. "The fact remains that the suspended Chief Justice of Nigeria violated the law and not a case of witch hunting or political persecution. And there are penalties for breaking the law the world over, Nigeria inclusive."